Looking to take your video production and filmmaking skills to the next level? These sites will help you step up your game in production, post production & color grading. We’ve rounded up some of the leading video production and filmmaking sites! 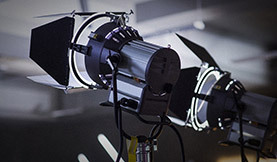 Check out these terrific online resources to learn about the latest industry developments, get reviews on professional film/video equipment and improve your real-world production skills. Cinema 5D started out as a site focused on the Canon 5DM2, but now covers digital cinema cameras in general. They have camera reviews as well as a frequently updated news section. A good starting point for detailed analysis of cameras and workflow! Light Film School offers an online film program, but they also blog about topics related to screenwriting, cinematography and directing. The blog has 4 sections: Daily Inspiration, Tutorials, Interviews and Product Reviews. They offer detailed articles here on process/technique and enlightening interviews with filmmakers. Stillmotion consists of a group of filmmakers that started doing weddings and now are doing high profile projects. They write about filmmaking and share their personal experiences. They have a 4 part video tutorial on process that should be required viewing on “how to tell stories”. They’ve also released an app, “SMAPP” (iOS), that has tools for creating shot lists, picking lenses and what gear to use. The focus here is on DSLR filmmaking, covering cameras, cinematography and post production workflows. They offer a combination of written posts and video tutorials, as well as free color grading presets for After Effects. Shane Hurlbut is a well known cinematographer and recently filmed “Act of Valor”, the first big budget Hollywood feature filmed entirely on DSLR cameras. He writes about his experiences and shares tips to make you a better cinematographer/filmmaker. Ryan is a skilled cinematographer who shares his knowledge of cameras and filmmaking/video production technique. 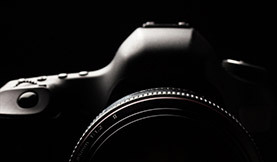 His site is a great read for those wanting to stay current with cameras and cinematography gear. Retooled focuses on the post production side of things, with topics relating to Final Cut Pro, Premiere Pro and After Effects. Be sure to check out the detailed video tutorials for those looking to learn intermediate and advanced editing techniques. 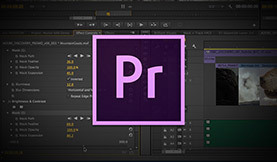 Aaron blogs about video editing in Adobe Premiere Pro and color grading with DaVinci Resolve. His site is a nice balance of tutorials and insights from his real-world experience editing and grading. The Post Lab covers post production with a focus on the independent filmmaker. It offers an insightful mix of news, interviews, and articles. Vashi Nedomansky blogs about his experiences as a professional film editor. 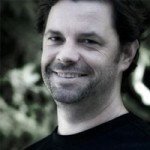 He has worked with well known filmmakers like the Bandito Brothers & Vincent Laforet. On his site, he shares his insights as well as a helpful template for Premiere Pro Editors. NoFilmSchool covers filmmaking for the indie/student filmmaker. Philip Bloom covers filmmaking from DSLR’s to high end digital cinema cameras. Philip often does in-depth cam and equipment reviews and shares his thoughts on the current state of cinematography and the video industry. Vincent LaForet also covers filmmaking from his personal perspective. He became known from the popular short film “Reverie” shot on the Canon 5DM2.